Cologne - For the second time in the current campaign, FC Bayern München forward delivered the unrivalled contender to win the Goal of the Week vote on Matchday 7. The Pole netted his third and fourth goals of the season in the champions' 4-0 humbling of Hannover 96, but it was his first strike that opened the scoring which caught the eye in particular, earning him 45 per cent of the vote. With his perfect control on the chest and pinpoint precision as he stroked the ball past keeper Ron-Robert Zieler, the 26-year-old underlined that team-mate Manuel Neuer's post-match statement was no exaggeration. 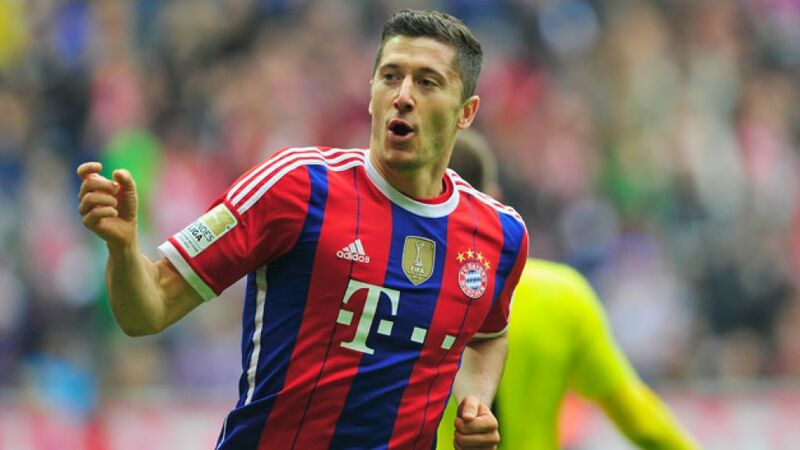 "Lewandowski is one of the best strikers in the world," commented the Bayern No1 after the game. Second in the poll was Borussia Mönchengladbach's Max Kruse (32 per cent), ahead of both Salomon Kalou of Hertha Berlin and Bayer 04 Leverkusen attacker Karim Bellarabi (both nine per cent) with Alexander Meier taking five per cent for his first of two headed goals in Eintracht Frankfurt's 2-2 draw with 1. FC Köln. See below the top five goals from Matchday 7, and how Lewandowski celebrated his first Bundesliga brace for Bayern - with a selfie - in these videos from the Bundesliga's official YouTube channel.